Every game, even the most linear of them, has some degree of exploration. This is a fundamental part of the interactive experience whereas something such as a book or movie is all about explanation and telling (or showing) the user what is going on. But in the world of interactive mediums, there has, especially in the last couple years, been a resurgence of interest in much more explorative games such as Minecraft and Skyrim. But exploration comes in many forms. Is this a mystery where information is what you seek? Are you learning a craft in a trial-by-fire? Is the world your playground with adventure around every corner? All of these are possibilities and many more, but they all have their own unique advantages and challenges. And failure in different areas can lead to many different results. It is rare that a game spells absolutely everything out for a player. It does happen (simulation games especially), but generally there is a progression from ignorance to clarity that helps to guide and inspire the players. What they don’t know is a large part of this informational exploration. A mystery in this sense doesn’t have to be so direct as a whodunit, but rather it can refer to a lack of context for what happened before a certain point. This can strictly be added flavor and fluff that is purely optional to areas in the main plot that are shrouded in unknowns. The player gets to unravel the secrets and find out all there is to know about all of the world and feel more like a part of it the entire time. The rewards here scale with the direct correlation with the main plot. The risks do as well, though. As a player, it is a wonderful feeling to get to understand what is really going on. Even understanding motivations for the world and its players can make one feel much more like a part of it. The risks come from what the player will do with this information. A common flaw in games such as JRPGs is that the player can and frequently does understand what is going on before the characters. The time delay between when the player knows what’s going on and the game adapts to incorporate that further knowledge can lead to greater and greater disconnects between the player and the characters. Frustration can flare and boredom can set in quickly when it seems like the characters are just dumb or knowingly playing into the enemy’s hand. How can this be avoided? For one thing, a developer can always play a game knowing what the mysteries are and knowing exactly when the last piece of the puzzle was mentioned. From that point, simply timing until the characters will know and react is important. Even if the information was a bit subtle, the risk of the players figuring it out and becoming disenchanted raises with time. Ideally, don’t gate progress in the game on a conversation where a player tells you what everything means when the player should be very capable of just progressing the game. The sense of agency and success feels much better to a player than forcing them through manual pacing the reveal of known information. A trial by fire in information exploration refers when the only way to determine something is to try and see what happens. To a lesser extent, this can also come up when information is withheld completely until an item or character will give it to you though this can be accomplished at any time. The “Scroll of Identify” from the first two Diablo games or the need to right click some items arbitrarily in Diablo III are examples of the latter. I find the Diablo style of hiding information from the player as a complete waste of time. I don’t feel like something was more interesting to have to click an additional time or possibly run out of a relatively cheap item that wastes an inventory slot. 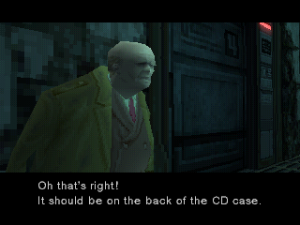 The former example can be found a lot in older games. Be it for reliance on the game’s manual to fill in details or any other reason, this can be seen when items or equipment do not actually explain what they do. For instance, healing items which might be marked as “candy” with no explanation. Now a user must consume the item to determine what it actually does. For items that they may only have a single one, this either involves a great risk, looking elsewhere for the information, or save scumming (using saves as experimentation rather than checkpoints and committing to results). Equipment can be worse as it frequently is not an amount of money the player can part with without consideration. Having to buy something to determine if it was good for them is an awful experience. Loading games or feeling out of touch with what is going on is an immersion breaking experience. Occasionally is likely to be forgiven if the rest of the game is good enough, but a game cannot feel perfectly fun when it keeps feeling like there is a lot of meta-game needed just to survive. There is no cohesion to not being honest and open in the game when the lack of knowledge isn’t a driving force. Exploration can be a much more literal and physical concept in games as well. Though more expensive to make, when done well, the explorative potential in games can transform them into truly whole worlds that people want to get lost in. Not all who wander may be lost, but not all journeys make it to the end either. The smaller case of exploration has less to do with the big wide world and more for exploring a nook in it. Functionally, the tasks break down to you need some sort of key to open some sort of lock (be it an actual key for a door or maybe an item for a character). 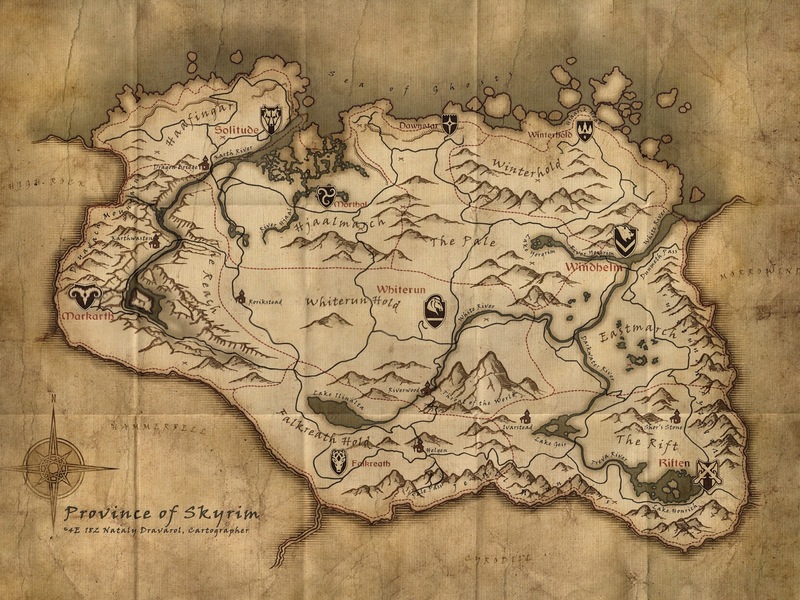 What differs from many modern games is that the game doesn’t actually tell you where to go for the task (and possibly not even what is needed to solve the problem). The resulting gameplay is the player needs to wander about and explore until they reason about or stumble upon a solution. This provides a good deal of agency in games that otherwise may feel like a linear path that the player is just rolling along. Immersion is key to losing oneself in a game, and solving one’s own problem without help really enhances the feel that it is your own destiny. The problem with this approach is similar to all exploration problems: the player can get lost. 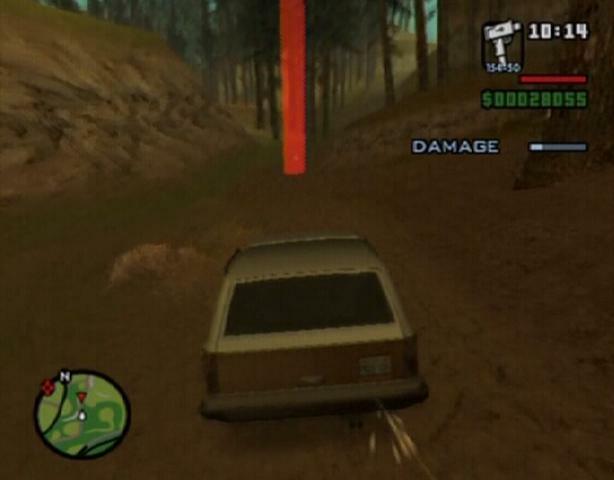 Without providing a means of help, the player may not know how to proceed. In old adventure games, this was frequently called a “pixel hunt” because there was a small number of pixels on the screen that had to be pressed for the game to proceed. This resulted in players breaking all immersion and just scanning over the screen to try everything in hopes of advancement. In modern games, things can become even more challenging as what is or is not possible may not be obvious. Maybe one is supposed to jump all over the scenery to find something interesting. Maybe the goal is to find something hidden inside or behind somewhere. Maybe the game has a bug and you should be proceeding but the trigger failed to happen. Without knowing, this is grounds to just give up on the game all together. A backup plan is what I see as a good alternative. In general, I see this as another character (or even who the player is playing as having an internal dialog) that will remind and give hints. Ideally this would be automatic without being annoying (a difficult balance for sure), but even having the player seek out help is still better than leaving them in a place where they must find a guide to know how to keep playing. 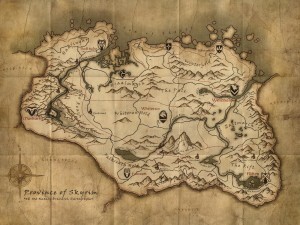 Probably the most famous example of open world exploration comes from Skyrim. This is a game where you can wander in virtually any direction and find characters who have their own story and towns with problems and adventures to be had. Modern sandbox games are lesser forms of this as they tend to give ample waypoints and other indicators of exactly what a player should be doing. Additionally their quests and areas to visit tend to be less engrossing and more along the lines of minigames or smaller distractions. The feeling from the gamers who play these games seems to overwhelmingly support the feeling of freedom and adventure. It provides everyone their own story to tell and their own emergent fun to experience. Replayability or even the length of a single playthrough can be very long as people find more things they want to do. And in the end, the value of these games can be huge. They do come with problems though. The biggest is doing it well. A large world is only fun if it is worth wandering about and exploring. If it is boring or empty or tedious then it’s a distraction at best or possibly muddling any good parts of the game. Success tends to mean huge amounts of work and extensive testing (as ordering is hard to preserve when a player does what they want). 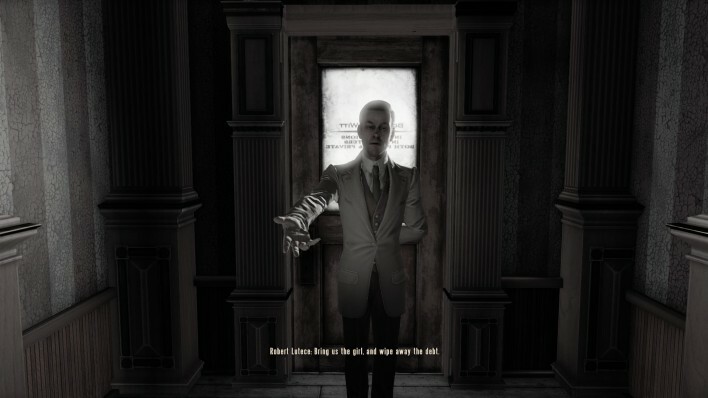 Pacing and narrative become much more difficult when any urgency is lost to a player who wanders about for several hours before finishing whatever tasks might have previously been “of the utmost importance.” This problem is common in MMOs as well since players have oodles of things to do and there is no penalty for experiencing things at their own pace. Even getting players to the end of the story at all is much more difficult since they might play for hours and hours and not remember what the story was or feel motivated to rejoin it. This is one reason Final Fantasy X actually removed free roaming from the world compared to earlier games. Exploration is a powerful tool to have in games. Players always want to feel like their actions mean something. Exploring for information is riskier and should be removed if it doesn’t directly enhance the experience. Exploring the world and encouraging players to wander about is a great idea, but for those who want or need focus, there should always be a good path for them as well. Additionally, an open world need much more effort to make it wonderful. It is better to not be open and have other good parts than to allow shallow open world to detract from an otherwise good game. The best test is always someone who doesn’t know what mysteries you have hidden away. And a smile on their face points to success and a better experience. Let the players wander just so long as they don’t become lost.